Phillips makes a wide variety of devices – one of which is their smart TV range. 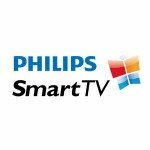 Like all other Smart TVs on the market, the Phillips Smart TV can stream content from online providers like Netflix. If you live in a region where Netflix is not available you will need to change the region on the TV to a location where Netflix is already available. That way you will get access to the actual app. From then on you need to setup your TV to use Unlocator DNS to do the unblocking when using the app.